Sunday afternoon a Montgomery Street resident arrived home and noticed a box and a padded package open in his front lawn. 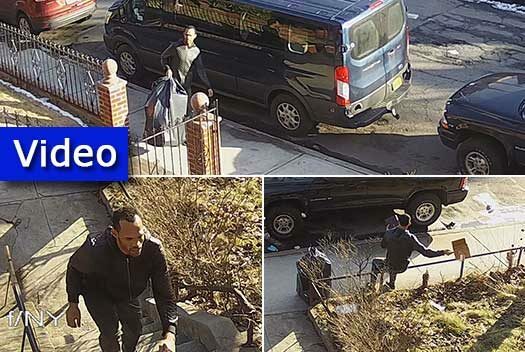 Upon closer inspection he noticed that the packages were addressed to him and was initially confused as to why they were opened and discarded in his front yard. A review of surveillance video quickly revealed what occurred. 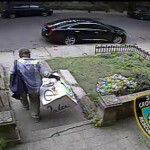 A man carrying a large garbage bag over his shoulder going from house to house and taking packages that were recently delivered and left on front porches. 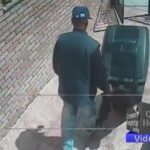 High quality surveillance video clearly shows the man’s face and reveals that he spent nearly three minutes in front of one house inspecting the stolen goods. A number of victims filed police reports. Busy street. People around. Looks like a city vehicle, meter maid? regardless they have radios I thought. Guy walking around with a trash bag, in broad daylight, doing this. When criminals start doing this so brazenly in the open, with nothing stopping them, it’s a cultural failure. 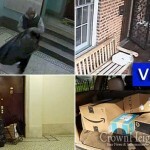 What is to stop people from doing even more criminal activity in the future? Is this the type of activity folks cried about when it came to stopping people in the street or profiling? Obviously the reward greatly outweighed the risk, if any exists. Meyer Kay could use him. the postmaster has authority in these cases.